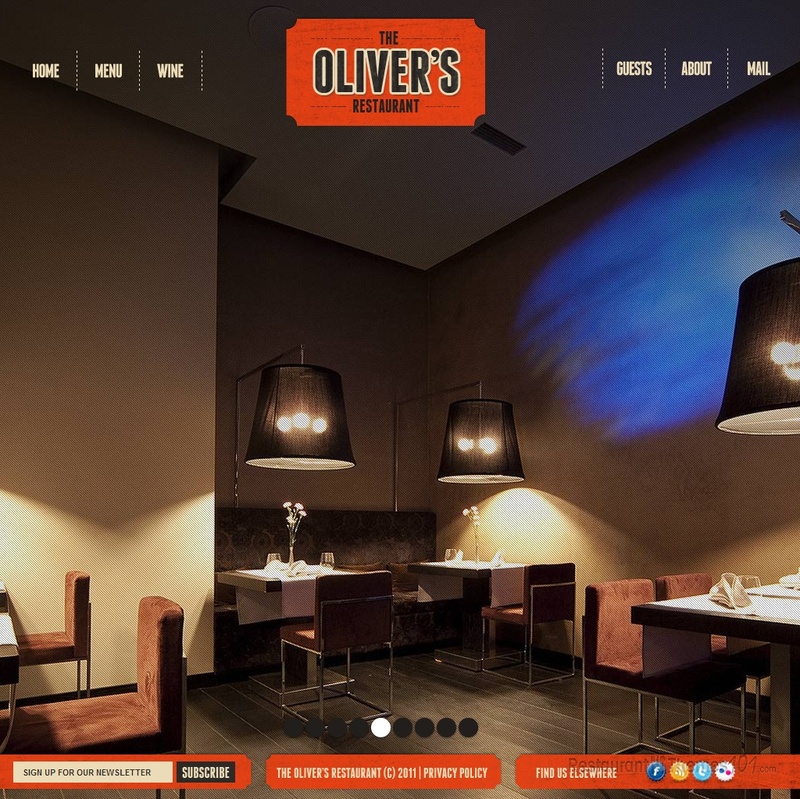 Oliver’s Restaurant is a unique looking Joomla restaurant template. Astra developed it and it is presented at Template Monster. 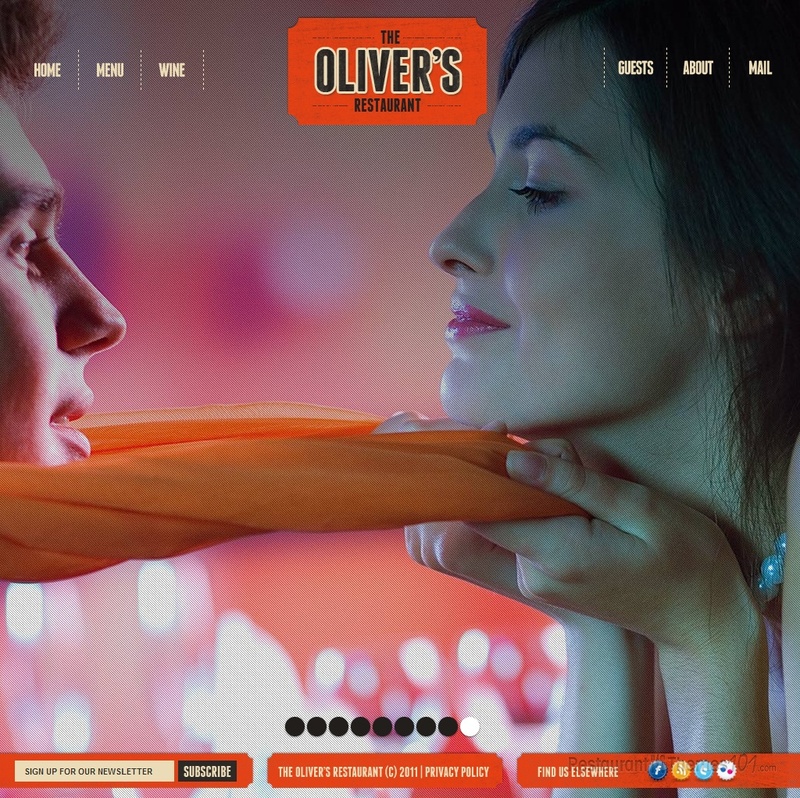 The homepage of this template looks truly spectacular with a full-page slider. Now you won’t have one blunt background, but several awesome looking quality photos by your choice. 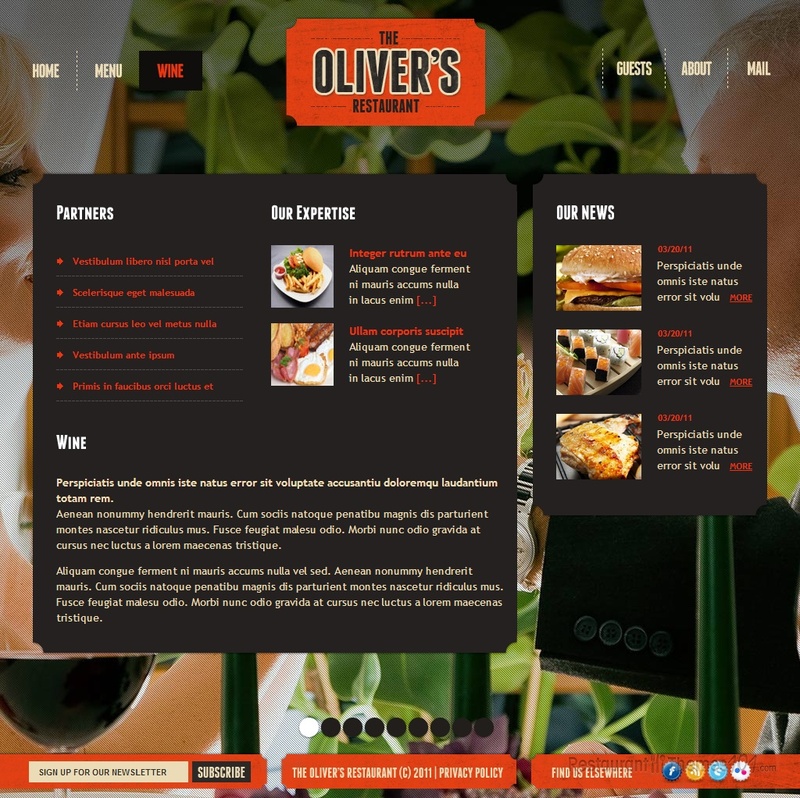 Place photos of your delicacies or the nice atmosphere at your cafe or restaurant here, and make everyone want to rush to your place as soon as they check out the goodies you provide for them. The colors prevailing are black and orange, and they complement each other perfectly. A newsletter subscription and social networks buttons will be the only things distracting from the slider, and they aren’t really a distraction, but a great way to spread the word worldwide with endless sharing possibilities. The menu and the wine list have their separate sections and they both look great and nicely organized. 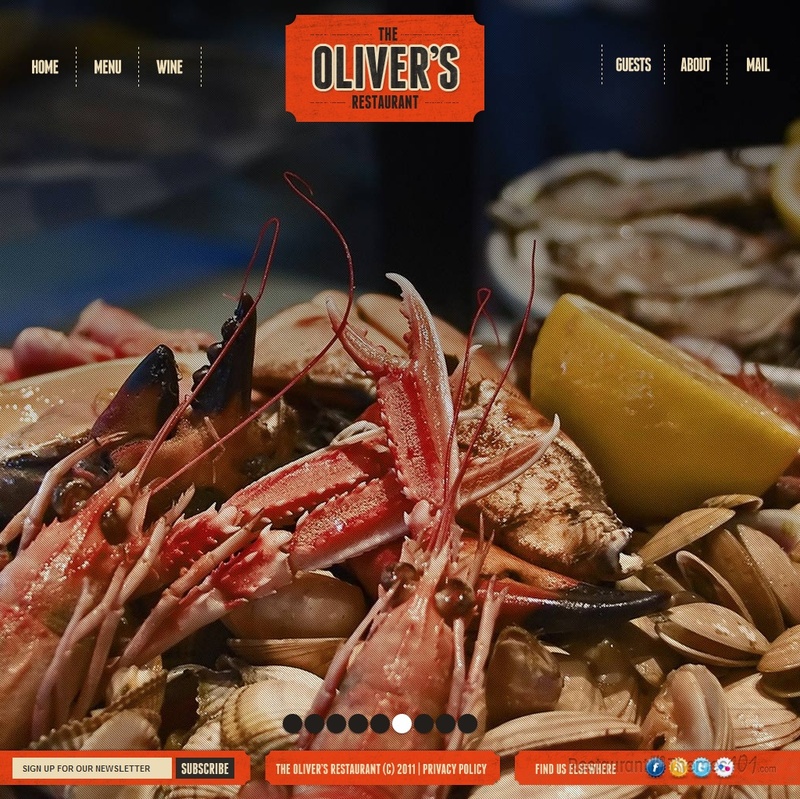 This template features an “about” section, and this is where you can tell your visitors a little bit more about your place, and present all of your special offers and news to them. If you click the “mail” section you will discover a contact form that was added for easier interaction with your visitors. 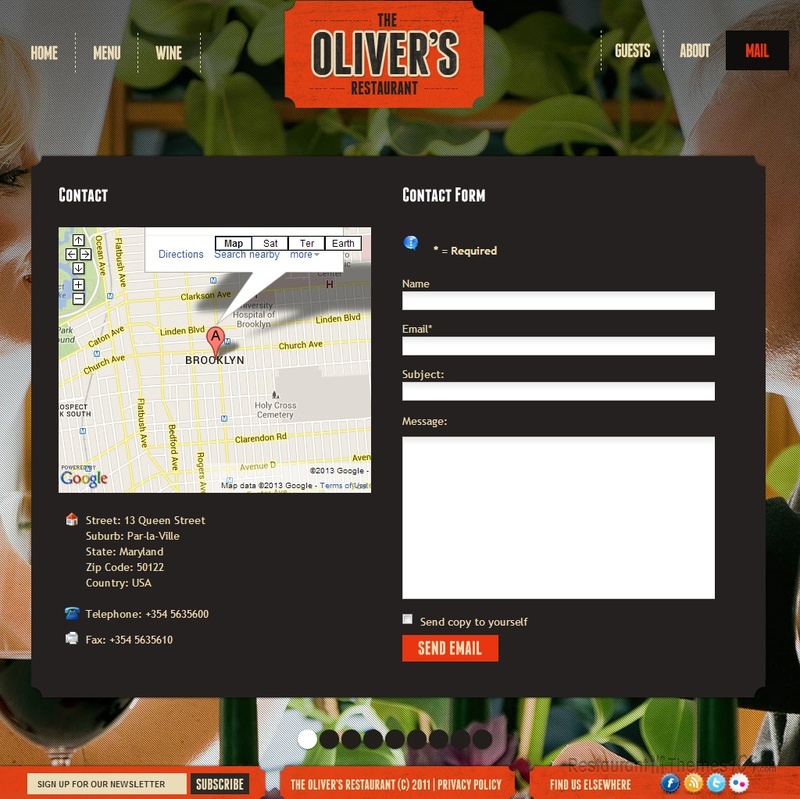 They will be able to message you right there on your website. 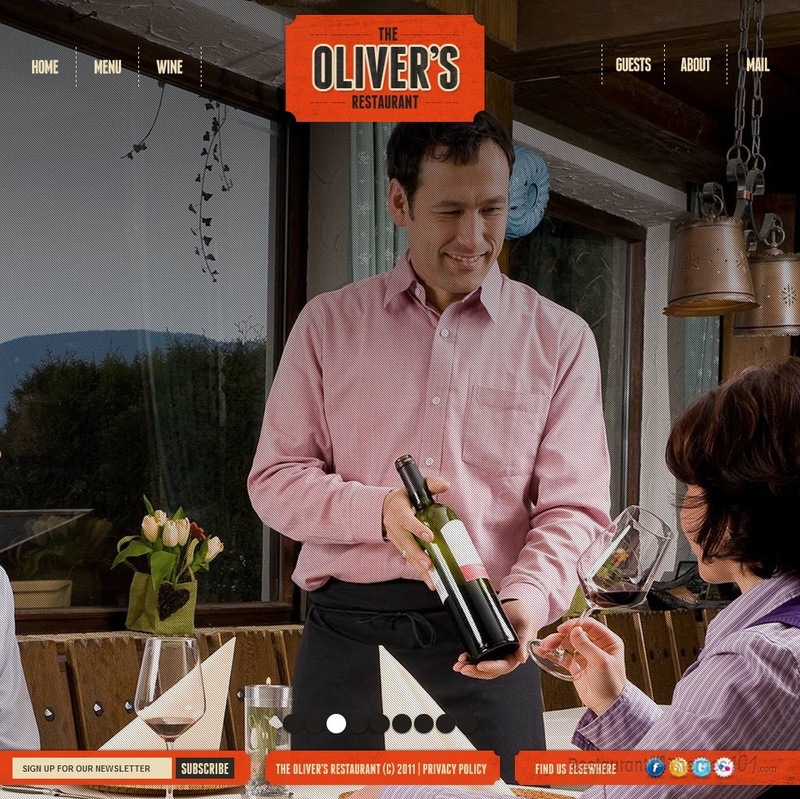 Google Maps integration is also featured here; making sure even out-of-towners can get the right directions to your restaurant without any trouble. 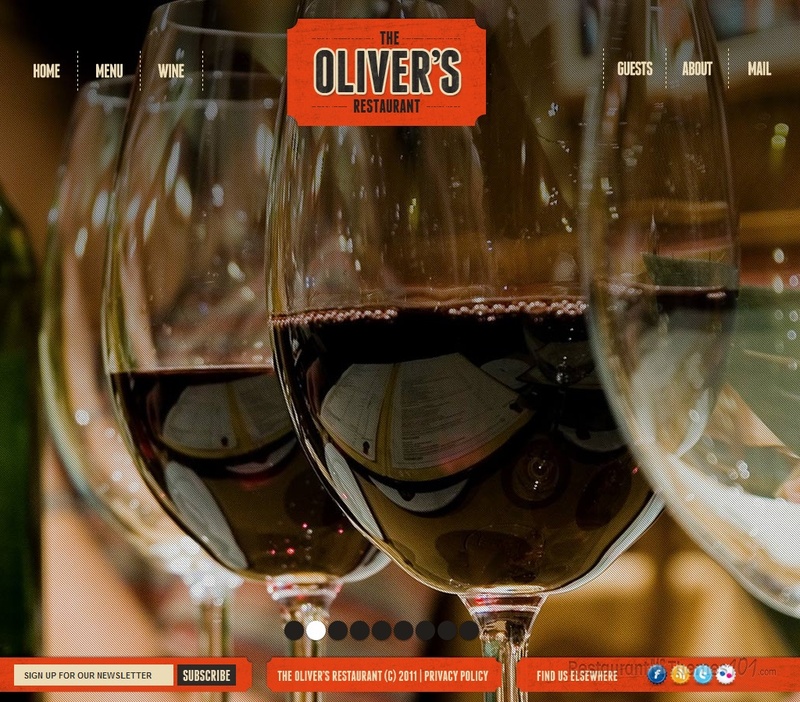 All they need to do is visit your website! 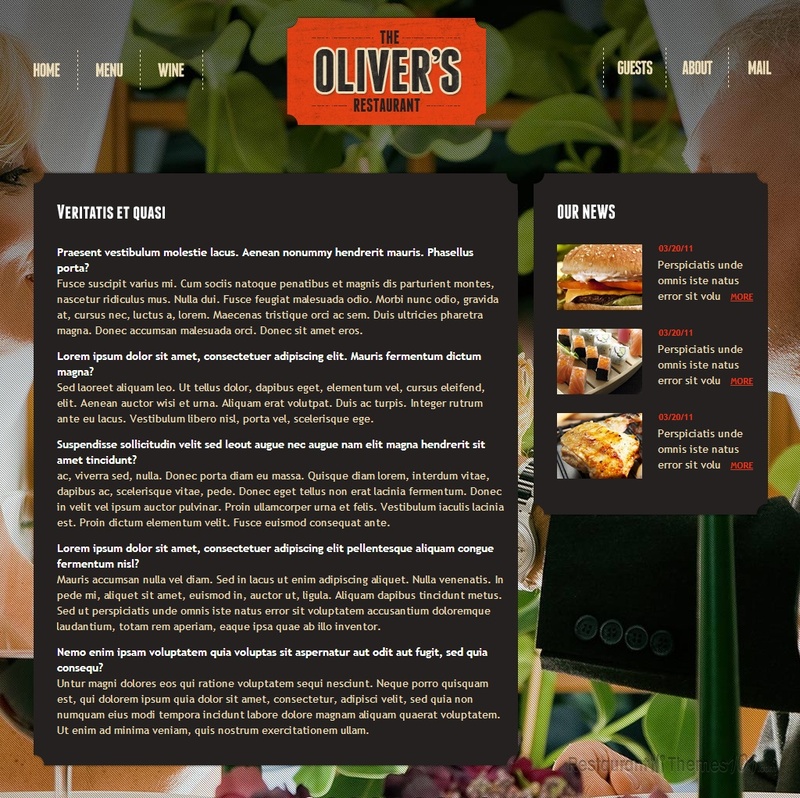 Oliver’s Restaurant can be used as a cafe template for Joomla, or for any other restaurant niche. It is very adjustable and most importantly, you will be able to run it all by yourself. The template comes with installation instructions. A very powerful admin panel is featured with the help of which you will be able to setup your whole website without having to hire a professional designer to do it for you.